Cloth Diapering - Shop Cloth Diapers from BumGenius, GroVia & More! Cloth Diapers, Diaper Covers, & More! Diaper Junction is your home for all of your cloth diapers and diapering supplies and accessories. We carry an amazing selection of the most trusted names in the cloth diaper world, and all at incredibly affordable prices. 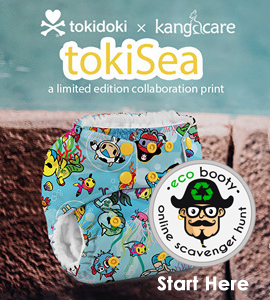 Whether you are a veteran cloth diaper mom who has wiped a thousand bottoms or a first time mom who simply wants the best for her baby, there are a number of reasons you chose to go with cloth diapers over the disposables. Cost is obviously a big factor, but your baby's health and comfort are other excellent reasons. Babies who use cloth diapers also tend to potty train earlier than disposable diaper babies, and how do you calculate the cost for that bit of convenience? They are a lot healthier for our planet than a landfill full of disposables, and caring for planet should come right after caring for baby. We Carry the Best Brands in the Cloth Diapering Industry! The key to cloth diapering is finding the perfect cloth diapering solution for your baby. We offer our customers superior quality cloth diapers like Rump-a-rooz, Blueberry diapers and bumGenius, brands that deliver ultimate convenience for you, and complete comfort for your baby. They are also incredibly stylish, because who says your baby can't have a little flair? We also carry a complete range of all the diaper creams, diaper covers, liners and inserts, all from manufacturers who know a thing or two about baby safe products. 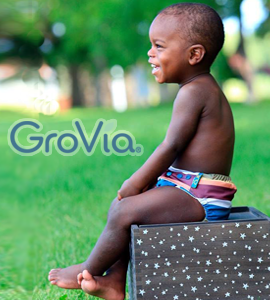 From GroVia to BabyKicks, DiaperRite to Thirsties, we know the right way to keep your baby wrapped in love.